Home › Humour › Well, you don’t kindle my interest…almost. Once upon a time, six months ago, I was gifted an eBook reader, oh, I how despise these new-fangled devices. Before you dismiss this as absolute drivel or dub me a Luddite, allow me to explain myself. 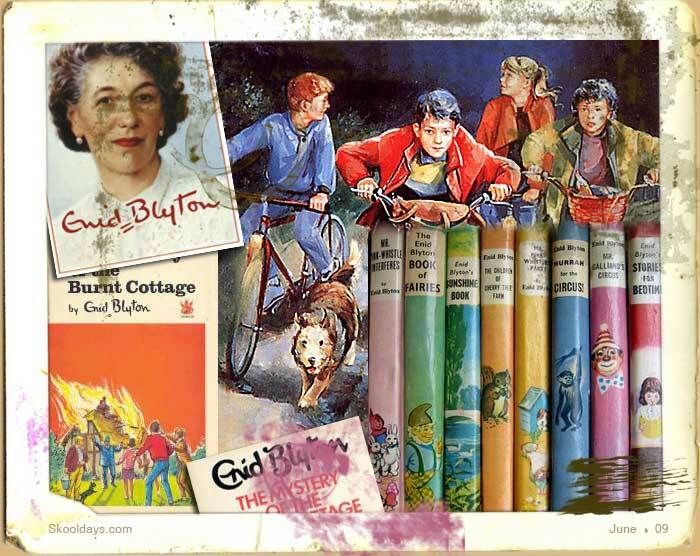 While in school, summer hols meant signing up at the local book rental library – hauling home Enid Blytons, Nancy Drews, Hardy Boys’, Perry Masons or the occasional James Hardly Chase, clad in brown cover, as you grew older. Every book you picked up at the library told a story of someone who owned it. The ‘Five on Kirrin Island Again’ you picked up would have “Happy Birthday Anita, 12 January 1985, Bombay”, scribbled on the flyleaf with a fountain pen. (In all likelihood a burgundy & gold Hero fountain pen). The musty smell, dog eared pages and words underlined tell you that Anita was no spelling bee. You spot an old blood stain on a page, an epitaph to the mosquito that got between Anita and her birthday present. The cold stare of the electronic screen tells you no such tales. Pardon my language; the geeks seem to be trying every trick in the book, to get us on a download spree. Imagine no books to line up on the walls of the Study. No coffee table edition of ‘The World in Vogue’, casually thrown on the table to impress visitors, just terabytes of eBooks downloaded onto a palm sized thingamajig. Oh, how beastly will this get. And then there is the Strand Book fair, an annual pilgrimage for bibliophiles. You jostle through the entrance intent on spending all the book money saved up over the last three months and looking forward to the pleasant ache in your wrist from hauling six bags overflowing with books. Fighting your way through the book lined corridors, you see a person reaching out for the last of copy of an interesting looking book, innocuously titled ‘The Partners’. You grab it before he does. Doppelganger story says the blurb, the book looks interesting and it goes straight into your shopping basket. Your prompt agility is not without its effect. The other blighter, distinctly dyslexic, seems taken aback and his exasperation makes your buy even more valuable. Not all things are done by the book, are they? Several evenings later you start reading the ‘The Partners’. You plod along like school children walking with gumboots in the monsoon flooded streets of Bombay. After a while you give up. Not unlike the kids who take off their gumboots to walk barefoot, you understand what they really meant when they say don’t judge a book by its cover. The book, unread, remains on your book shelf along with the memories of your sneaky act at the Book Fair. How would you ever get hoodwinked by a blurb or steal simple pleasures like this in the electronic corridors of eBook downloads? Ah, did that telephone call just interrupt your reading? Shove a Chimanlals organic paper bookmark or just fold up the ear to bookmark the page. Is there any pleasure in simply closing the cover of your eBook reader? Give me a book to curl up in a nook (not the Barnes & Nobles kinds), a hot cup of tea and leave me alone to read, listening to the soft rustle of paper under the whirring ceiling fan. What a perfectly topping afternoon! When Chris Gayle came in to bowl with the new ball, West Indies took a leaf out of Dhoni’s book commented Harsha Bhogle. Twenty years later, just say ‘taking a leaf out of someones book’ and you would get a commiserating look, normally reserved for a doddering senile. Taking a byte out of someone’s eBook doesn’t sound right, does it? And while we are on this subject, I wonder if your Kindle is affected by a virus, the electronic kind, would it be called a book worm? Book bargain hunters know their Savannah. (Or is prairie, the word I am looking for?) In Kolkata you see them prowling around College Street, pacing Flora Fountain, Fort, Kalbadevi or Kings Circle in Bombay or the by lanes of Triplicane in Chennai. They paw through mounds of books, wipe sweat off their brow and dust off dog eared covers and haggle over ten rupees. But bargains from peddlers of eBooks are a mere flick and click away. Dash it, buying eBooks is indeed very cheap. I have my principles and predilections, but no one can call me an obstinate dolt. Don’t take me for a penny pinching scrooge; now that I give this situation some deep thought, indeed, it’s not that eBooks are without some minor advantages. Everybody has lent a book to a confounded blighter who forgets to return it. And when you don’t get it back even after you have reminded the swiper or dropped hints that are as subtle as Dali’s moustache, you wish that you could sneak up behind him with generous bit of a lead pipe or shove him into barrel and watch it roll downhill. The geeks have indeed been sagacious; you are unlikely to encounter anyone who can be accused of filching your electronic copy, would you? The makers of eBooks have made the world a more tranquil place, placing them amongst the deities of the Buddhist pantheons. Or when you go on a three week trekking vacation in the hills and decide to carry the complete works of Vikram Seth to read beside the babbling brooks, you may find yourself placed at some disadvantage. The choices you make, packing you bags, will be between A Suitable Boy and six more pairs of grey underwear. But with a Kindle, you can, loll on the river bank, reading until seven generations of dragonflies build a thriving colony under you. I don’t know if you have had this feeling before. It’s like how you feel when you are seated on a train, leaving the town you spent your childhood in and the train slowly pulls away from its station. That’s how it’s been with my eBook reader – a Kindle. Don’t take me for a penny pinching scrooge; the Kindle does have its minor advantages. I have left the old station, enjoying the new journey, looking at green new pastures from the window. Postscript: dedicated to my sister, Radha, who generously gifted me a Kindle Paperwhite, which until recently, remained unpacked. Hi Asha Athai, Glad you enjoyed this post. Still remember how I used to haul books from cupboard in the Colaba house. Yes, I have lotsa Enid Blytons and Perry Masons from your collection – guess it was split between me and another cousin – when you guys moved. While I too find a physical book rather than an ebook more alluring, space remains a big factor. If you have a device you are more likely to do some video watching and gaming, with a paper back you don’t run that risk. Love your posts . Keep them coming 🙂 totally agree with you, You have penned my thoughts .Nothing like curled up with a book and a hot tumbler of coffee.on the side. Thank you for you kind words shree.